Sadly this recipe uses the last morsel from our recent Rhode trip gifts. Going to have to learn to gather our own treasures from the sea from now on. 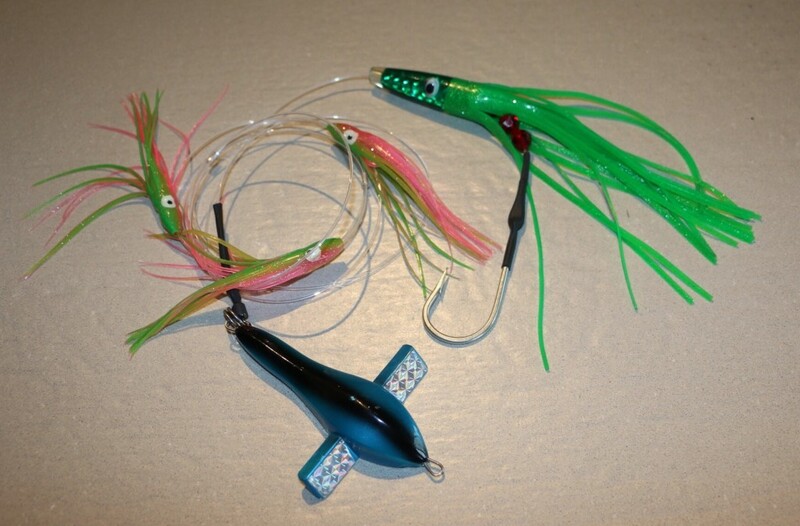 …with this ‘holy-crap-gonna-catch-us-something-big’ lure, how can we lose? It even comes with the name ‘Tormenter”. Watch out! The beauty of these types of dinners is the ease in cooking. 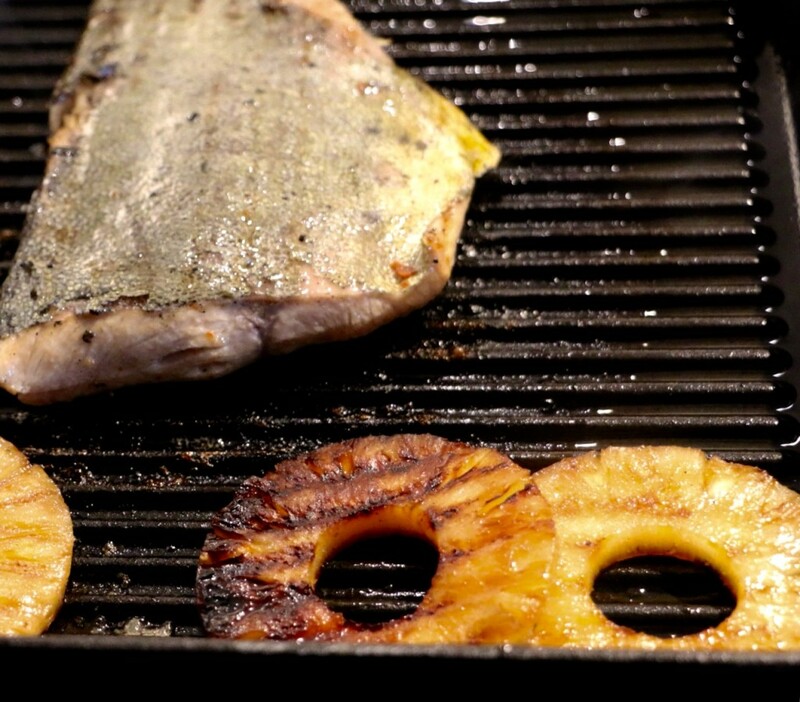 Most fish takes just a few minutes from prep to table. This was no exception, although I let the filet marinate for a couple of hours to absorb some of the sweet flavours of maple and pineapple. Place pineapple juice, maple syrup and the rest of the seasonings in a food container. Add the fish and let marinate for a couple of hours if time allows. When ready to cook, remove from marinade, and pat dry. 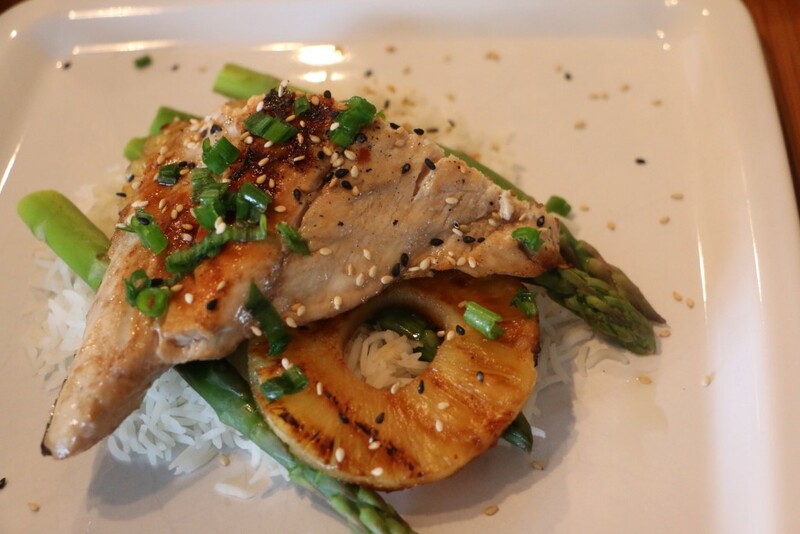 Brush each side with maple syrup then sesame oil and grill until the flesh is flaky. Be careful not to overcook as there will be a certain amount of 'cooking' once removed from grill. Tent with foil and set aside while you grill some pineapple slices brushed with maple syrup. 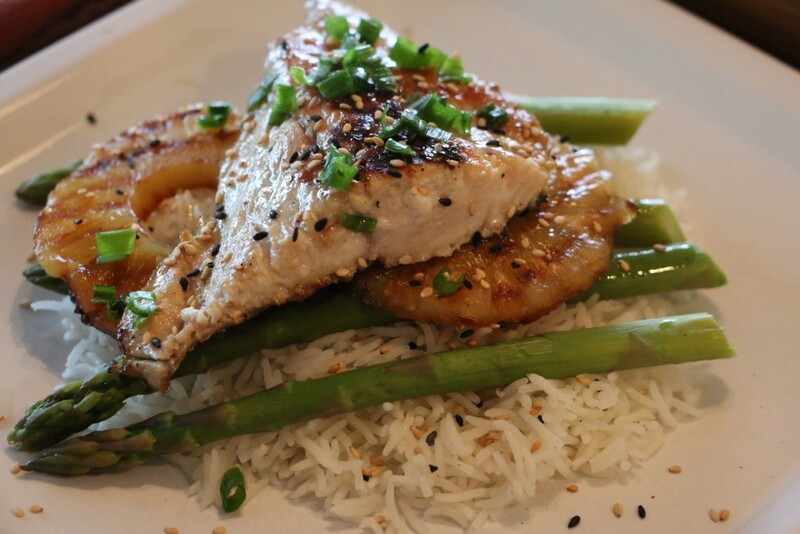 Serve on a bed of rice, asparagus and pineapple. Sprinkle with sesame seeds and slivered onion greens.